After the 3-1 defeat by Middlesbrough on 31 October, Slutsky admitted he would have understood being sacked. 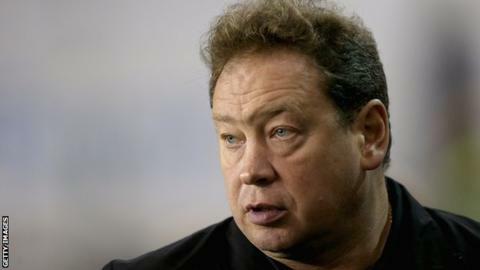 Hull vice-chairman Ehab Allam said: "Leonid has worked tirelessly in his role and has acted with complete honour and been a pleasure to work with. "Unfortunately results have not improved as both parties would have hoped and therefore it was agreed for the relationship to come to an end." Head of club strategy Oleg Yarovinsky, who had worked with Slutsky as Sporting Director of CSKA Moscow, has also left his role at the KCOM Stadium.